If your front teeth are stained, chipped, or malaligned, veneers can be used to provide a natural appearance with minimum tooth adjustment. 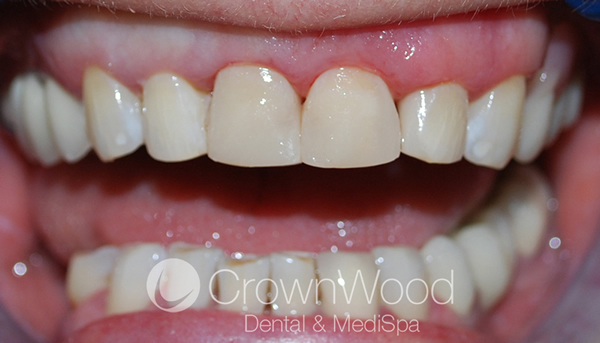 A veneer is a facing on the front of your teeth; usually your top teeth. It is similar to a false finger nail. 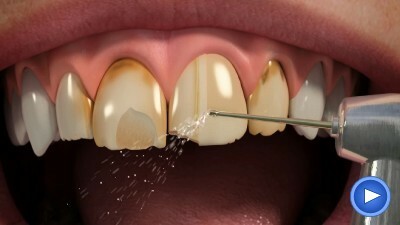 Veneers are made out of Porcelain, and most often used to improve the appearance of your teeth. 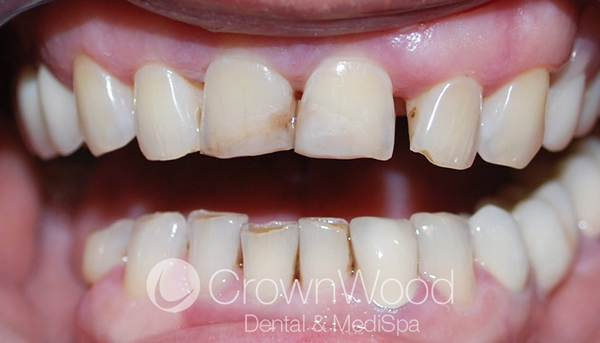 At CrownWood Dental, all clinical options are explained to our patients before we recommend Porcelain Veneers. Porcelain veneers make teeth look natural and healthy. They are very thin, and are held in place by a special strong bond similar to super glue. 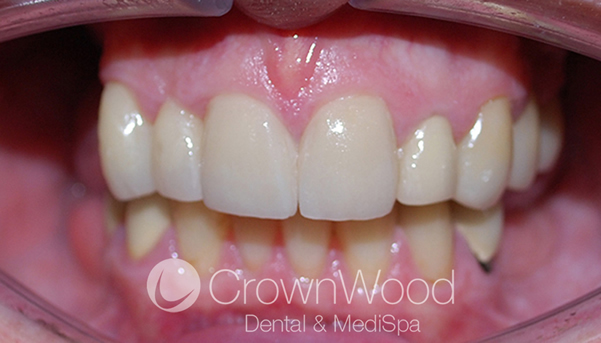 Porcelain veneers require very little preparation and can improve the colour, shape and position of your teeth. A precise shade of Porcelain can be chosen to improve a single discoloured or stained tooth, or to lighten front teeth (usually the upper ones) generally. 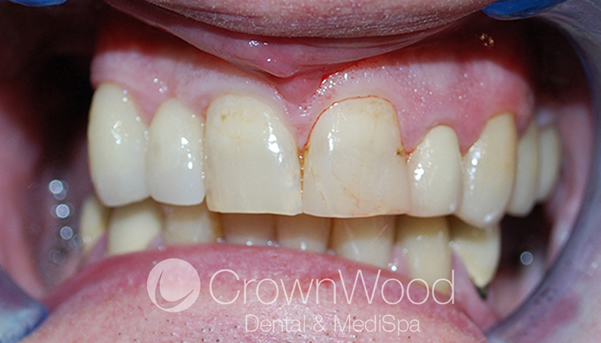 Use the slider to see the before and after result of having veneers fitted. "My whole outlook has changed with my fantastic new smile where for the first time I feel confident in smiling in photographs."